A strong looking field to this 2m4f Grade 1 Chase at Sandown, which has produced some outstanding winners down the years, including the likes of Medermit, Punchestowns, Oscar Whisky and of course three-time Gold Cup winner Best Mate. 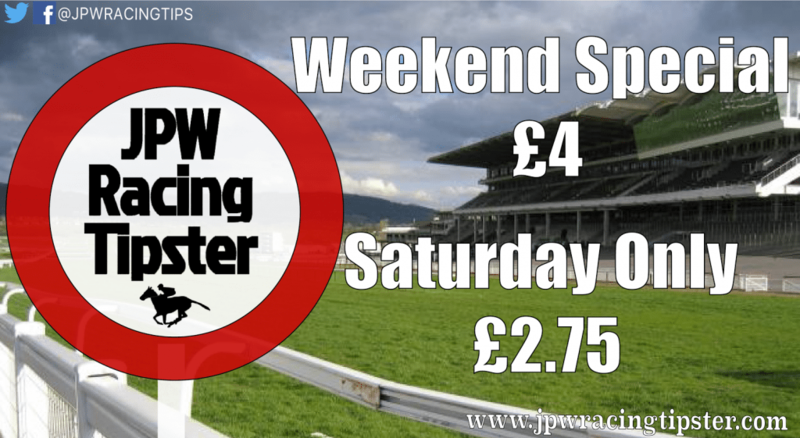 Let’s go into detail on the horses lining up for this weekends race, it’s a cracker! CLAN DES OBEAUX was a smart hurdler for Champion Trainer Paul Nicholls last season. He won his first start for the yard on soft ground over 2m on hurdles debut, beating a decent field by 21 lengths very easily and was then sent off 11/8 favourite in the Grade 2 JCB Triumph Hurdle Trial at Cheltenham. He travelled the best horse in the race, poised to challenge and still on the bridle approaching the last but was quickly out paced by a horse who had the run of things that day. CLAN DES OBEAUX still battled on well only going down by 1 length with the ground classed as heavy. He then finished a respectable 6th in the Triumph Hurdle and was sent off 7/4 favourite on chase debut where he needed the experience, but again stayed on strongly over 2m3f just missing out on 3rd place. CLAN DES OBEAUX made amends at the second time of asking in Grade 2 company where he jumped exceptionally well and came home 10 lengths clear of a good field without breaking sweat. The horses he beat are quality sorts and he made them look ordinary. CLAN DES OBEAUX wasn’t disgraced last time out when looking the likely winner of the Grade 2 Dipper Novice Chase, but a mistake two out cost him the race. He rallied well to only go down half-a-length 2nd when sent off 10/11 favourite behind the smart Whisper. I’m more than sure we are yet to have seen the best of this horse. Paul Nicholls has had this race planned out for CLAN DES OBEAUX since his latest run and he’s a good jumper which is a big asset around Sandown, one of the trickiest jump tracks on the calendar. The Jockey who rode him to victory at Newbury SEAN BOWEN, even said after the race, “The best horse I’ve ever ridden”. That says a lot about this potential star of the future who looks a real stayer in the making. TOP NOTCH is another classy horse who rarely runs a bad race and finished 2nd in both the 2015 JCB Triumph Hurdle and 2015 Fighting Fifth Hurdle at the top level, narrowly missing out in a photo both times. TOP NOTCH was 5th in last year’s Champion Hurdle and was won his last three chase starts impressively since chase debut when 3rd behind CHARBEL and LE PREZIEN. The latter has since won two competitive chase starts. TOP NOTCH is a beautiful jumper and trainer NICKY HENDERSON holds this horse in very high regard. However, this horse enters unknown territory over fences as he hasn’t had much to beat on last three starts despite horses who were behind have come out and won since but they are not Grade 1 level. DARYL JACOB will most likely be in the saddle but he will need to reproduce last season’s high-class form to have a say in this ultra competitive race as last time out success at Ascot hasn’t worked out with all the horses in behind, have all been beaten since. He also needs to improve again to turn the form around with LE PREZIEN as when they both ran against each other on seasonal return, the latter came out in front of him. TOP NOTCH is on the same mark as CLAN DES OBEAUX but will do well to win this giving that horse 3lbs in this race. LE PREZIEN hasn’t done a thing wrong over fences and has yet to finish out of the first two in all 9 career starts. This one also represents Paul Nicholls but the stables number one is CLAN DES OBEAUX. LE PREZIEN will more than likely be ridden by BARRY GERAGHTY who gets on well with the horse. LE PREZIEN finished runner-up in a Grade 1 over hurdles at AINTREE behind Yorkhill which is solid form, but this horse doesn’t convince me as a Grade 1 winner just yet who was possibly flattered by the winning margin last time when beating L’AMI SERGE at Exeter. LE PREZIEN was a fortunate winner at Cheltenham when the likely winner took a fall two out and I’m not sure Sandown will play to this one’s strengths who is going to have his jumping put under pressure by this quality field. LE PREZIEN might be good enough to finish in the first in the top two again but I can’t see this one winning as he needs to reproduce his 2nd at AINTREE to have a chance of winning this race and I just can’t quite see it. BARON ALCO will most likely set the pace. He likes to get on things and should have the assistance of JAMIE MOORE back on board. BARON ALCO was 2nd at this course last year in a Grade 3 behind Rock the Kasbah, who is likely to turn up, but that form is nowhere near strong enough for this contest today. Despite winning 2/4 chase starts, he was beaten fair and square 2 lengths by Whisper at Cheltenham and will need to improve massively to trouble CLAN DES OBEAUX who would have beaten Whisper with a better jump at the last when them pair met at Cheltenham. BARON ALCO is very talented but will find this race the toughest one yet in his career and may be hoping for something to wrong with the market leaders to win this. The rest of the field don’t look good enough and this race is usually won by the horses at the head of the market. All four at the head of the market have a chance of winning this without a doubt such as, Le Prezien, Top Notch and Baron Alco. However, CLAN DES OBEAUX looks the one to be siding with here, who is one of Paul Nicholls favourite horses in training and also Sean Bowen who ridden the horse to victory at Newbury, described the horse as the best one he’s ever ridden. It’s a super competitive race but I know there is more to come from this horse who will appreciate this stiffer track. CLAN DES OBEAUX has all the gears you need to make it as a high-class Grade 1 winner, he travels very strongly in his races, has great pace and is a beautiful jumper at his fences. Favourites have a great record in this race and the Dipper Novice Chase at Cheltenham is a good guide to this contest as either the 1st or 2nd from that race has gone on to win this race or fell. The figures from that race going into this when 1st or 2nd reads – 1111F. CLAN DES OBEAUX finished 2nd but would have definitely won if that costly mistake didn’t happen two fences from home. Paul Nicholls has an oustanding record in the Scilly Isles Novices Chase and I have big confidence this horse will win the contest if he cuts out those odd mistakes. This is real high-class horse in the making and he can recoup losses last time by taking the Grade 1 Scilly Isles Novices Chase at Sandown for connections and Champion Trainer Paul Nicholls with further conclusion that Sam Twiston-Davies will likely ride this talented 5-year-old. CLAN DES OBEAUX (15/8) with BETFAIR.